Get autographed copies of Ariele’s collections and new releases here! The apocalypse wasn't what anyone expected--no rising flood waters, no zombies, no nuclear bombs. Instead, monsters. Their sudden invasion left the world in shatters, and now, decades later, all that's left of human civilization are a few nomadic bands struggling to survive off the land. Askari was born to this world, and lives, fights, and survives alongside the community that raised her. But when she breaks one too many of the community's rules, her punishment is severe: leave. Armed with her bow and blade, Askari sets of alone, guided only by a map and the promise that if she can find a book hidden in a nearby town, then she an return. But what can one person do alone in such a harsh, violent landscape? How will she survive? Askari faces a challenge that will force her to learn not only about the world she lives in, but question what she believes about herself. Get one signed copy of Rutherford the Unicorn Sheep Sees A Ghost. Rutherford the Unicorn Sheep invites his best friend, Wilfred the Walnut Skunk, to come see his new house. But while he's giving the tour, strange things begin to happen. Could it be that Rutherford has unwittingly moved in with a ghost? Join Rutherford and Wilfred in this exciting new ghostly adventure. This is the 8th book in the Rutherford the Unicorn Sheep series. 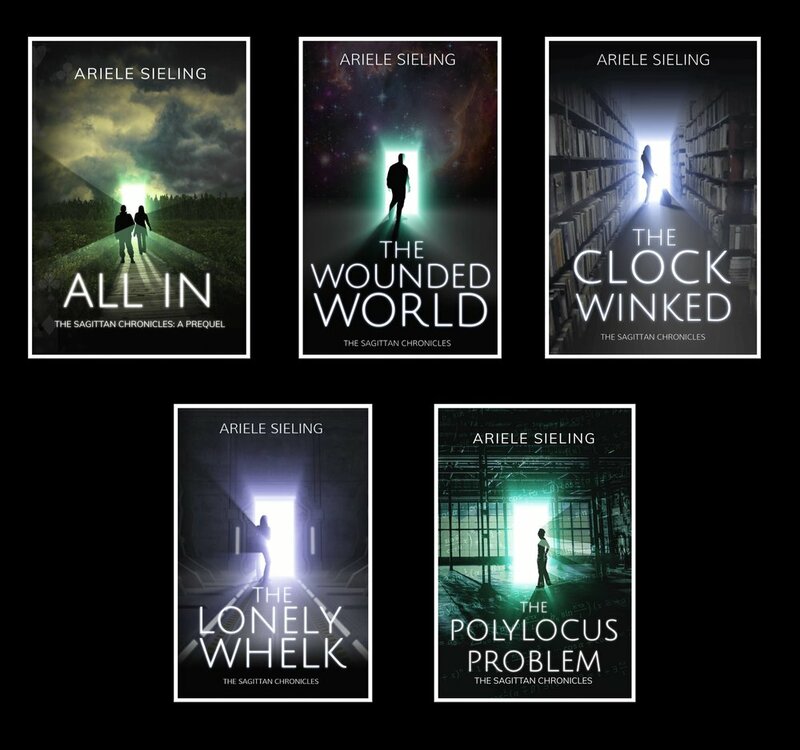 Get signed copies of All In: A Prequel, The Wounded World, The Clock Winked, The Lonely Whelk, and The Polylocus Problem. Great for Christmas gifts, birthday gifts, and fun scifi reads on long interplanetary trips.